But we don't yet have the full story of what happened between Trump's campaign and Russia. Before being named Attorney General, Barr sent an unsolicited memo to Trump arguing the Mueller investigation's scope should not include obstruction of justice. But to anyone watching, it is clear that Donald Trump has obstructed justice -- whether through firing James Comey and admitting on TV it was because of the Russia investigation, or by pressuring then Acting AG Matthew Whitaker to place a Trump-friendly prosecutor in the Michael Cohen case. And the only reason for Trump to obstruct justice is because he is a Russian asset compromised by Vladimir Putin and the Kremlin. He has fought this investigation tooth and nail (or rather, hammer and sickle) because he does not want the truth to come out. 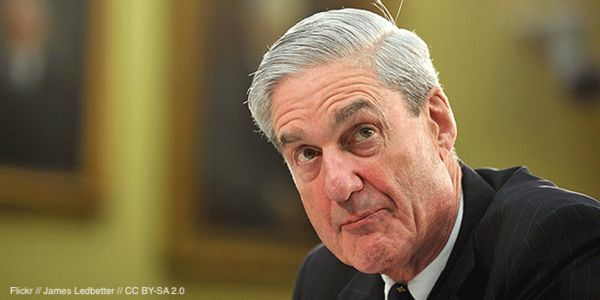 Demand that Attorney General Barr release the full Mueller report.